Enzymes are critical to all life because they catalyze chemical reactions that would otherwise take place too slowly to support life. Importantly, the rates at which enzymes are able to catalyze their target reactions and the ability of enzymes to maintain their structure are highly dependent on temperature. As a result, freezing and boiling can have significant effects on enzyme activity. Boiling breaks down enzymes so they no longer function. Below freezing, crystallization prevents enzymes from functioning. In order to understand how freezing affects enzyme activity, it is first necessary to understand the effect of temperature on the molecules that are the substrates for enzyme catalysis. Within cells, substrate molecules are in constant random motion, known as Brownian motion, as a result of collisions between substrate molecules and individual water molecules. As temperature increases, the speed of this random molecular motion increases as well since molecules have more vibrational energy at higher temperatures. The more rapid motion increases the frequency of random collisions between molecules and enzymes, which is important for enzyme activity since enzymes depend on their substrate molecules colliding into them before a reaction can occur. At very cold temperatures, the opposite effect dominates – molecules move more slowly, reducing the frequency of enzyme-substrate collisions and therefore decreasing enzyme activity. At the point of freezing, molecular motion decreases drastically as solid formation occurs and molecules are locked into rigid crystalline formations. Within these solid crystals, molecules have far less freedom of motion compared to the same molecules in a liquid arrangement. As a result, enzyme-substrate collisions are extremely rare once freezing occurs and enzyme activity is nearly zero below freezing. 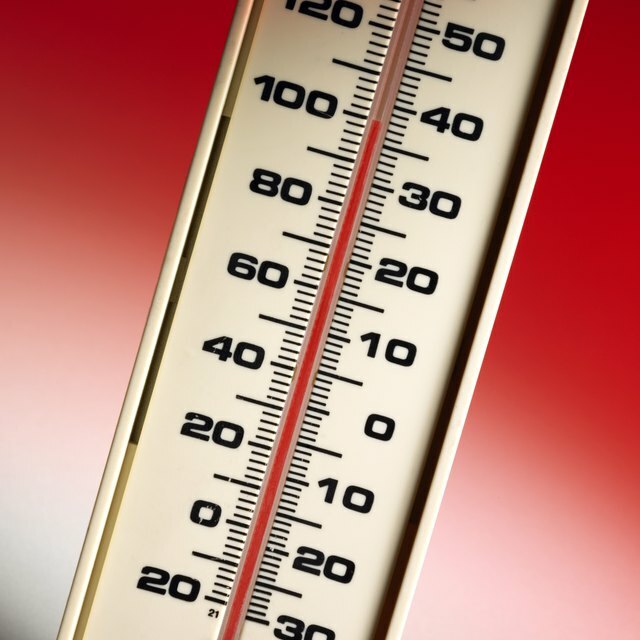 Although increasing temperature results in higher rates of enzyme activity, there is an upper temperature limit at which enzymes can continue to function. In order to understand why this is the case, the structure and function of enzymes must be considered. Enzymes are proteins, made up of individual amino acids held together in a three-dimensional structure by chemical bonds between amino acids. This three-dimensional structure is critical to enzyme activity, as enzymes are structured to form a physical "fit" around their substrates. At temperatures around boiling, the chemical bonds that hold together the structure of enzymes begin to break down. The resulting loss of three-dimensional structure causes enzymes to no longer fit their target substrate molecules, and enzymes entirely stop functioning. This loss of structure, known as denaturation, is irreversible – once enzymes are heated so much that the chemical bonds holding them together break down, they will not spontaneously form again if temperatures decrease. This is unlike freezing, which does not affect enzyme structure – if temperatures are increased after freezing, enzyme activity will be restored. Michael Graw has been writing and editing science journalism since 2009. He holds a Bachelor of Arts in microbiology from Cornell University and is a PhD student in earth, ocean and atmospheric sciences at Oregon State University. Graw, Michael. "What Are the Effects of Boiling & Freezing on Enzyme Activity?" Sciencing, https://sciencing.com/effects-boiling-freezing-enzyme-activity-23207.html. 05 April 2018.